Joanne Mattera Most of the galleries that show work on paper tend to show the work of artists who are well known for their painting and sculpture, so having lower-priced work on paper by these artists would be an affordable bonus. The print galleries are showing the work done under their own aegis, which is what we see at the Print Fairs. I suspect that once you have a body of work that is painting or sculpture, you’ll be better able to show your prints and drawings. Shawna Moore I would agree with Joanne. When you create a body of work, some of the paintings or drawings that are on paper can be exhibited alongside paintings. For example, I have had good luck with selling framed encaustic on paper pieces in galleries. The price point is lower and when collectors are nervous about wax, the glass acts as a protector. I myself collect almost exclusively work on paper because I love paper and can afford art in this form. Framing is always a dilemma for work you make or collect. A good frame is usually expensive. Elise Wagner This is a well-established problem among galleries. They always like my collagraph monotypes and take a few for inventory. They often like showing the versatility that exists in the work between printmaking and painting but most often they only sell the paintings. Yet, time and time again, I invest in framing a few prints to go alongside my work in each show to illustrate the process of its making. What I’ve done over the years to make the works on paper more marketable has been to mount them onto panel and embellish them with oil or wax or both. This solution works and I am contemplating creating a body of prints on panel and framed plates for my next show in Boston. Jane Allen Nodine I have encountered this problem many times with galleries. I think there is a mindset that works on paper have less “value” than works on canvas or panel, maybe not always by the dealer but by their clientele. Also, many dealers feel they can charge higher prices for panel/canvas. For example, it takes the same energy to sell a $500 work on paper that is does a $2,000 work on canvas. This is more about marketing than about “collecting art,” but it is true. I hear the same discussion from sculptors. Dealers feel it is much easier to sell paintings than 3D works. Pamela W. Wallace A gallery interested in showing some of my encaustic work has also requested thematically related work on paper to demonstrate the evolution and contrasting technique involved. Jeff Juhlin All my galleries resist works on paper. The one gallery that has taken my monotypes has sold most of them and wants more but that is the exception. 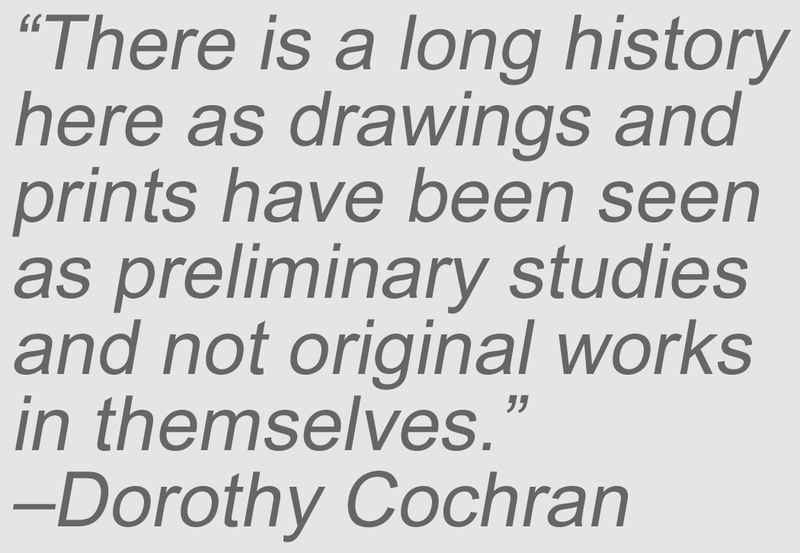 Dorothy Cochran There is a pecking order for galleries and clients and paintings reign. There is a long history here as drawings and prints have been seen as preliminary studies and not original works in themselves. Cheryl McClure I intend for the work I do on paper to be incorporated into “paintings” mounted on panels and then painted into more. I am sure I will end up having some that will remain on paper, too. 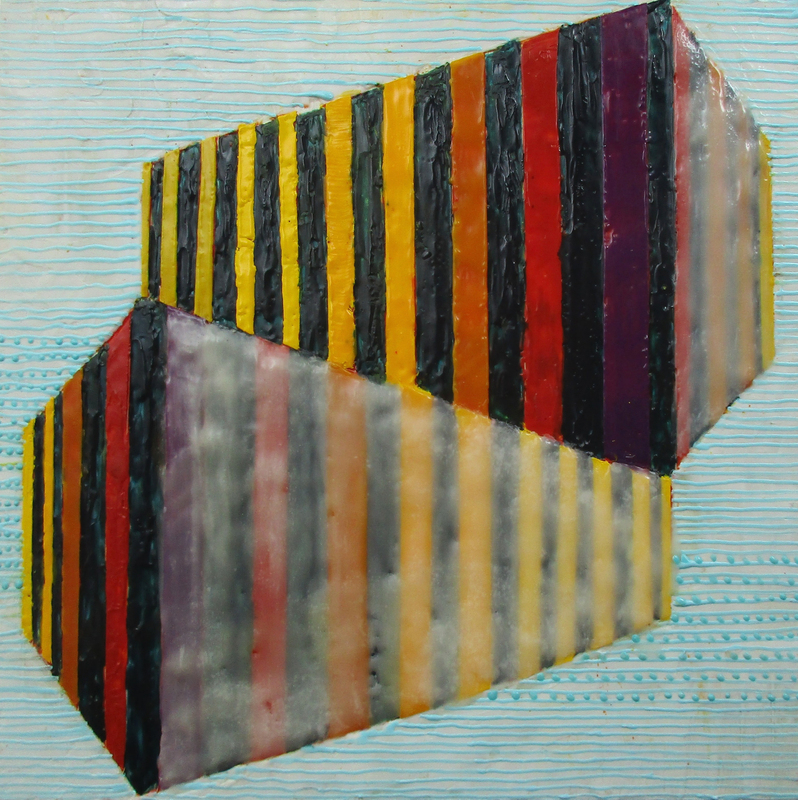 Christine Aaron Once mounted on board/canvas, what do you “protect” the surface with? That’s why works on paper are behind glass. Sounds like some here are using encaustic medium, but not all. An artist friend mounts her woodcuts on dibond (aluminum) and they are coated with something that can literally be wiped down. It is not a noticeable “surface” on the piece. That said, it is a very contemporary look. I know that with certain pieces I’ve sold, the purchaser wanted the piece in a float frame at least. Rebecca Crowell I sold works on paper at a wonderful gallery in the past that would give the purchaser the option to either keep the frame that I had used or to buy the work unframed and then re-frame it themselves. (A lot of people do have their own ideas about framing.) If they bought it framed, the cost of the frame was added onto the overall price and that amount went directly back to me (as reimbursement, not split with the gallery). If they didn’t want my frame, I got it back and could re-use it. That seems to me like a very fair policy to handle the whole issue, at least with relatively simple frames. It worked very well. But I haven’t found any other galleries that would consider doing this. Pat Spainhour I am excited to read this discussion. This is a problem I deal with. I have float mounted monotypes as well as mounted on panel, but I am not satisfied with either. I like the high contrast of black encaustic on white paper. When mounted on panel, if I lightly wax, then the paper becomes yellowed. If it is behind glass, again it’s not as bright. Not the effect I am looking for, but galleries and shows want it framed. I am still searching. Shawna Moore It is interesting that so much of this has to do with selling. If you love paper, work on paper. 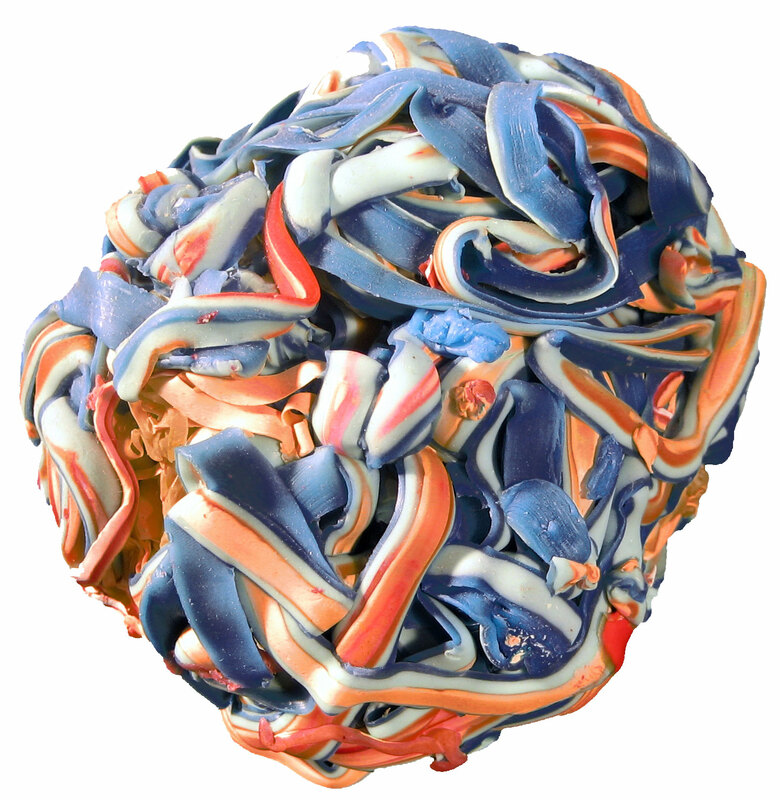 Paula Roland Thoughts on the topic from my experience: some galleries like paper; some don’t. Keep looking. Art consultants often like unframed works on paper for clients. If an artist is “known” for paper works it makes it easier. Presentation is important. I think alternative framing makes the work more “object-like,” and it is looked at differently. Some of my galleries only want my back-lit works; some don’t want to be bothered. Having a lower price point body of work is often a plus. Yes, it should be lower because it is usually much less time involved. 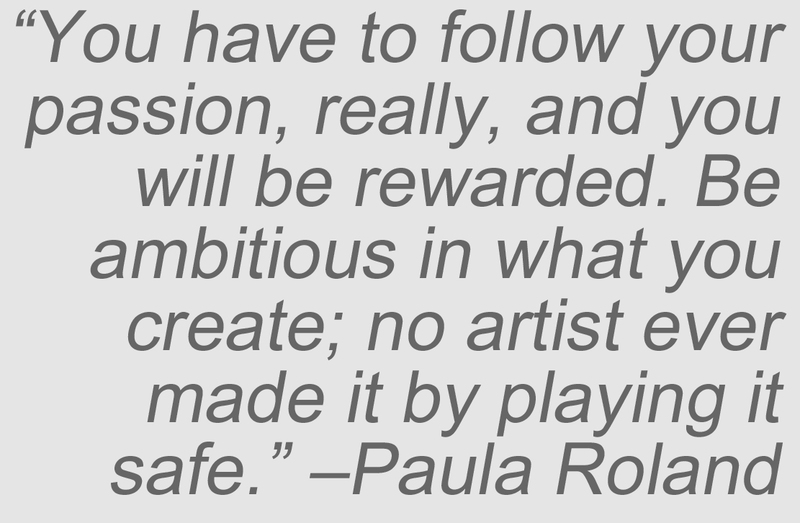 You have to follow your passion, really, and you will be rewarded. Be ambitious in what you create; no artist ever made it by playing it safe. Consider an installation or other project that will get attention. If it does not sell, it will bring attention to your more conventional works. No one gallery will want everything you do so find markets for paper and if you want to make paintings or sculpture, hopefully you can find the home for those, too. Or maybe they can all support each other in the same venue. You gotta do what feeds your soul. Jeff Juhlin All of your points are well taken. We use paper because everyone on this post loves paper but we still have to deal with it somehow. A few of us make part or all of our living making art. We are always faced with the conundrum of art and income and try to stay with our passion and purpose, always being mindful of why we do this but still considering the realities of the market. Shawna and Paula and everyone else has great points that it can’t all be about selling and $$. We all know being a visual artist is one of the worst business models out there but we do it anyway and thank god we do. In our own way we make the world a richer place because of it. 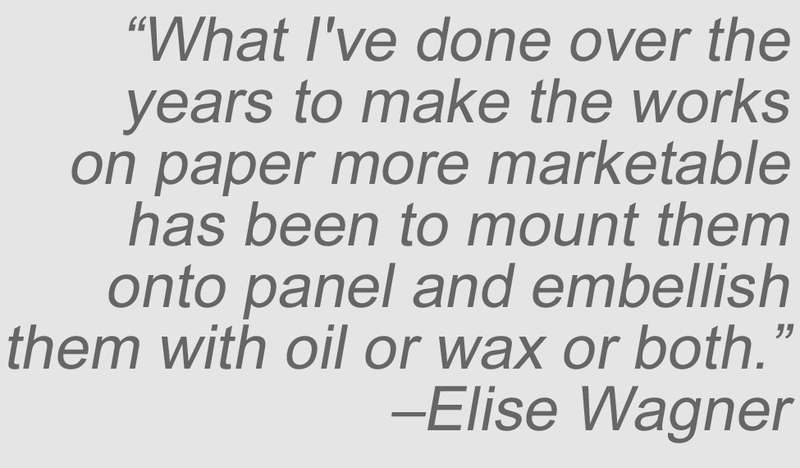 Elise Wagner The mounting of prints is really a process unto itself that doesn’t end with a layer of wax. I love to draw and like that I can manipulate a print by adding colored pencil or ink to it, then reference the texture and color in the print through the wax. There is a point in its evolution and layers that it does become a painting though and it’s priced the same as a painting. I have heard the saying that it takes the same amount of energy to sell a $2,000 painting as a $500 work on paper, however, works on paper are often bought in multiples. I have successfully been able to place my works on paper through art consultants. Many corporate collectors have a standard framing style that they use and art consultants usually do not want the work framed. On the rare occasion that the art consultant did want me to frame several works for a client, I was able to do the framing myself and mark up the prices of the frames. I agree with Jeff Juhlin that perhaps considering the sales angle is crass, but it’s a reality in the life of an artist.